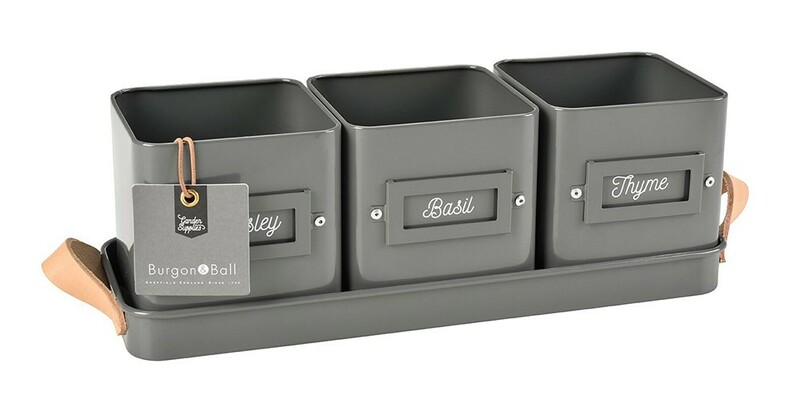 To make life simple, these pots are just the right size to hold supermarket herbs. The pots sit snugly in their tray, which features carrying handles in natural leather. Pre-printed with the names of three popular herbs, however the handy ticket holders let you personalise them to suit your own tastes. 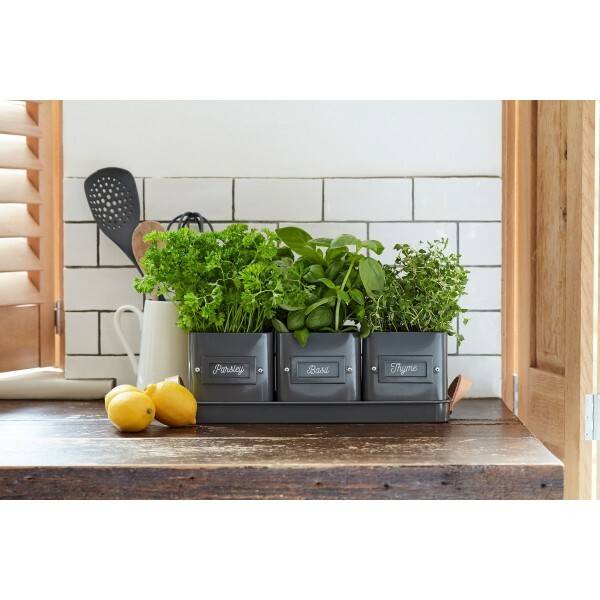 Use them for the herbs you need, to suit your own cooking style. Width 41cm, Depth 12cm, Height 12.5cm. Indiviual pot: 12cm high, 11cm wide, 11cm deep.